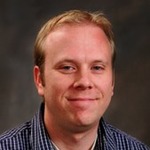 Seth is an assistant professor at Brigham Young University. He is intrigued by the evolution of color visual systems and color signals and how the diversity of life on earth is connected. He is the most biological fit biologist you will ever meet...he has seven kids. Fireflies in the western US...wait, what? Yes, for us in the West where the diversity is low, it is all about the timing. Back East timing is also important but the diversity is higher so if you aren't looking for any specific species they can be easier to find and enjoy. Let me check what information we have about fireflies close to you and I'll get back to you. They are there, you just have to know where to look and be willing to drive to them. Let me know if you are interested and about where you live and I'll see if I can get you a few spots to go and see them.